Put one cherry blossom in the cup and wait for about 5 minutes to get rid of salt, or it would be too salty! It is not sweet, more like soup with a mild flavor of cherry blossom. I'm sure it would taste also good if you add a little bit of sugar/honey in it! Hina-matsuri is a special day in Japan (not a holiday, though!). It is celebrated each year on March 3rd. Families display Hina-ningyo to celebrate the day. Hina-ningyo is a set of ornamental dolls representing the emperor and empress in traditional court dresses of the Heian-era. There are bigger sets as well with attendants and musicians, 15 dolls and 7 tiers in total. Generally, families start to display the dolls from February and take them down immediately after the festival because there's a superstition which says that leaving the dolls past March 4th will result in a late marriage for the daughter... Kind of a horror story for girls!! Hina-arare, bite-sized rice crackers flavored with sugar/soy sauce or both. Modern ones have 5-10 chocolate-covered crackers in a bag and they are poplar among children! 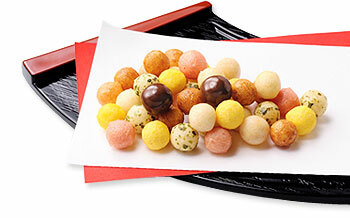 Hishi-mochi, a diamond-shaped rice cake which has a three-color-layer of pink, white and green (from the top to the bottom). 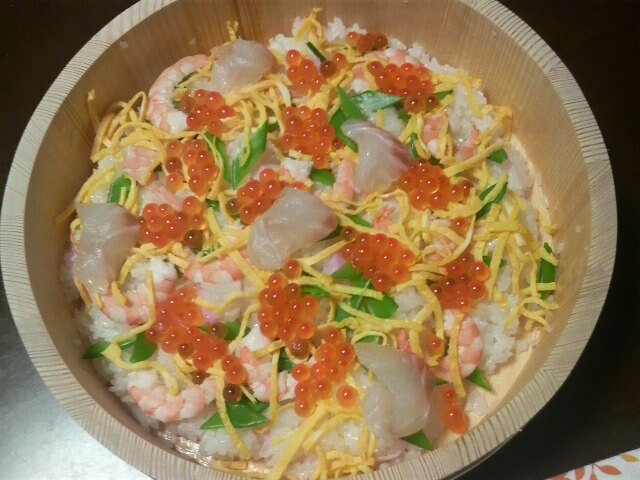 Chirashi-sushi, a bowl of sushi rice topped with a variety of sashimi and vegetables/garnishes. There's no set formula for this dish; you can put anything on top as long as it's delicious! 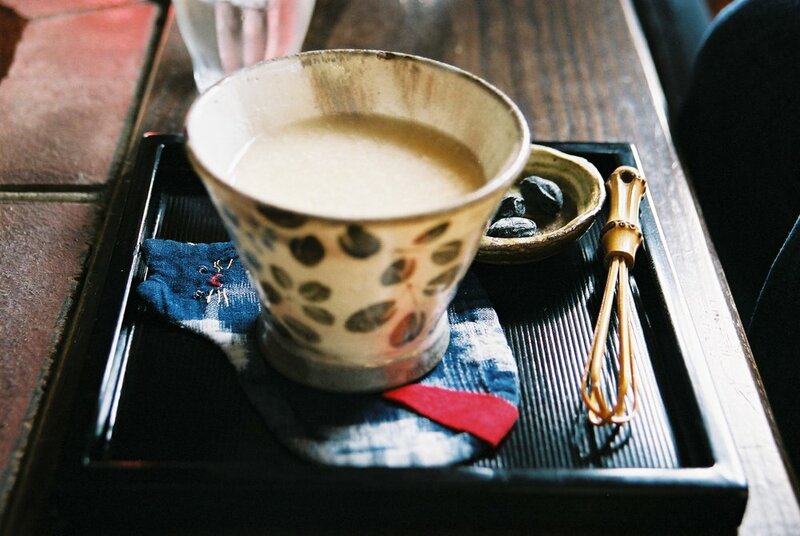 Ama-zake, a sweet, low- or non-alcohol drink made of rice and koji mold. It is believed that Ama-zake is very nutritious. It contains Vitamin B1, B2, B6, Folic acid, Dietary Fiber ect. 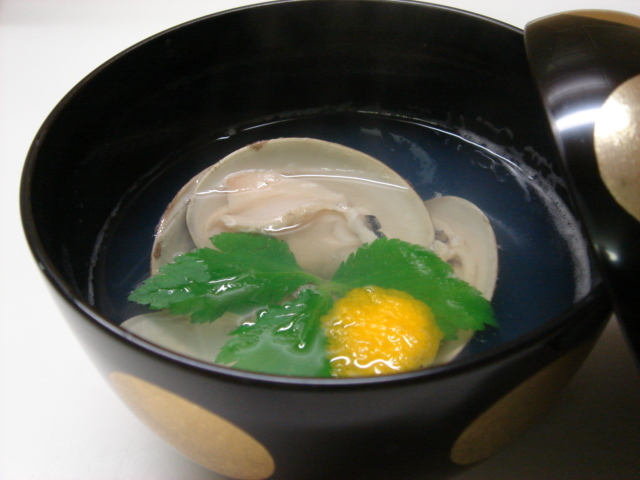 Ushio-jiru, salt-based soup containing clams still in the shell. Clam shells in food are deemed the symbol of a united and peaceful couple, because a pair of clam shells fits perfectly, and the no pair but the original pair can do so! Or how about a handcrafted bunny Hina-ningyo? They are adorable!! Today, we are very excited to introduce our new products from a talented artist, Aiko (also known as Shikakibito-Aico in Japan). She has been working as an artist for more than a decade and her workshops and exhibitions are always full of people. Those who have been to Japan might have seen her products in department stores. And now she has arrived in Boston! It has been a few months since we started working with her on our designs. After we received her initial samples, we were very excited about having her products in our store. That's a good sign, right? We asked her right away if she could make something special for us. We are happy to announce that Aiko's products are now available exclusively at Tokai. Aiko's greeting cards, like many of her works, are original and detailed. The colorful heart-warming designs will make you smile and bring happiness to your day. They are perfect gifts for your loved ones. Check out Aiko's website below for more information. We are delighted to hear that the Japan Festival will take place again this year in Boston! This event is a wonderful display of Japanese culture accessible to visitors right here in the heart of Boston. Continuing on their 4th year, the Japan Festival Boston has attracted crowds of visitors each time looking to enjoy a taste of Japanese food, entertainment, and arts. Tokai will be hosting a booth at the festival this year where you may find an assortment of Japanese crafts. Please come and visit us! Over the years Tokai has been filmed by several local TV shows such as Neighborhood Kitchens and Chronicle. More recently however we were grateful to have a Japanese TV show "Challenge to the World!" (asahi.co.jp/sp/japanpride/) visit our store. The crew and chefs spent the day at our store picking out some tableware to be featured in a cooking competition between sushi chefs from Ginza and Boston. What's with all the sheep popping up in our store? Well according to the Japanese zodiac calendar, also known as "Kanshi" or "Eto" (干支), 2015 will be the year of the sheep! While the Chinese zodiac follows a lunar calendar, in Japan the beginning of the sheep year is celebrated on January 1st. If you know someone who was born in the following years, they belong to the year of the sheep: 1919, 1931, 1943, 1955, 1967, 1979, 1991, 2003. Check our shop section in the upcoming weeks for sheep-related items! Or contact us and we can ship anything from our main store that is not yet available online. Happy New Year and we wish you a prosperous and fortunate year in 2015! Happy Holidays everyone! We're taking some origami paper and making Christmas cards. 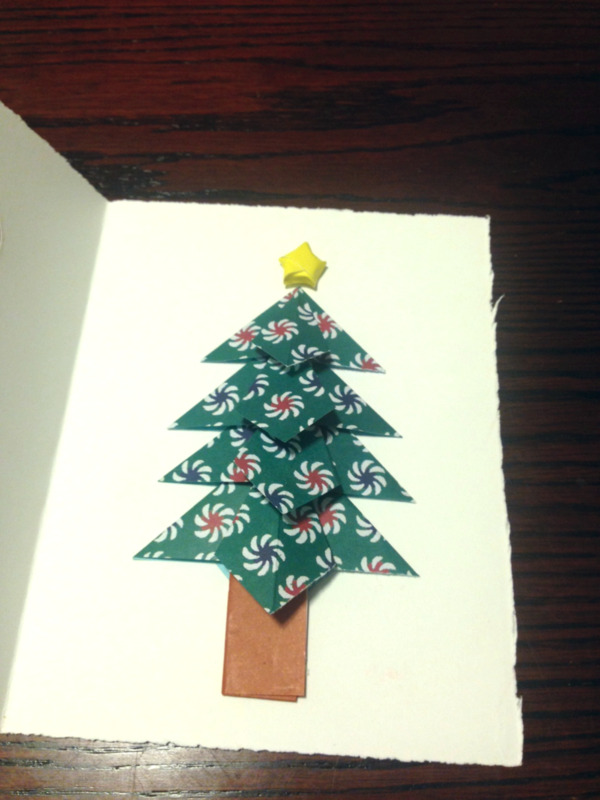 The patterned washi paper works really well for the tree. We took a regular 15cm sheet and trimmed it into four pieces of descending size (trim about 1cm extra each time). You can find instructions here except on step 9 we folded it flat across the front and back. For the star, it is just a simple paper strip star (you can take two 1/4 strips of origami and glue them end to end). Great way to show a little extra love in your holiday card. Enjoy! Our Cambridge shop will be open longer hours for the holiday season! We will be open from 11:00am to 8:30pm everyday until Jan 1st.